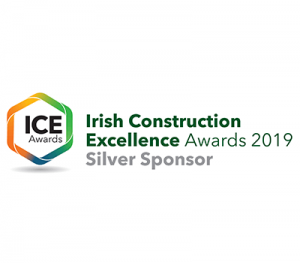 ­We are very proud to announce that we will be sponsoring the prestigious Irish Construction Excellence Awards this year. 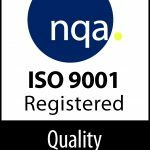 As a company who strives for excellence in all aspects of our business, it is important for us to recognise and support the awarding of such in the construction sector. We are proud to align ourselves with the Irish Construction Excellence Awards and what they symbolise. These prestigious awards highlight the fantastic vision, design and quality workmanship and expertise that goes into delivering each nominated project and have successfully established themselves as a benchmark of excellence in Irish construction. The construction industry in Ireland has had a tumultuous history, experiencing a devastating low in the recession of 2008. The period of decline which followed peaked in 2013 with construction unemployment reaching its highest level. The construction industry however, mirrored what is at its core; hard work and perseverance. By the first quarter of 2015 more than 120,000 people were employed in the sector and it has continued to thrive since. It is only fitting to celebrate the milestones the construction industry has reached and the expectations it has surpassed in terms of durability and hard work through the Irish Construction Excellence Awards. We are very proud to sponsor the Education or Healthcare category as we have played a vital role in the execution of many of key buildings in these sectors across Ireland and the UK including Trinity Biomedical Sciences Institute, The Mater Private and The Hermitage Clinic to name a few. Within our company, we recognise and value the importance of education. It is pivotal to this ever-evolving industry in the development of new technology and methodologies that will move the industry forward and showcase Ireland’s ability to lead in construction and manufacture. As the architectural glazing specialists on the National Rehabilitation Hospital, we are proud to be part of a project involving such an important institution of our healthcare system. The National Rehabilitation Hospital (NRH) provides a comprehensive range of specialist services to patients from throughout Ireland who, as a result of an accident, illness or injury have acquired a physical or cognitive disability and require specialist rehabilitation. Our healthcare system is so vitally and universally important to us all. We feel privileged to be involved in the design and glazing of this hospital and the opportunity to bring our expertise to this project. By aligning with the Irish Construction Excellence Awards we endeavour to continuously reflect excellence and pioneering new vision across all sectors in the construction industry.